Très chic! 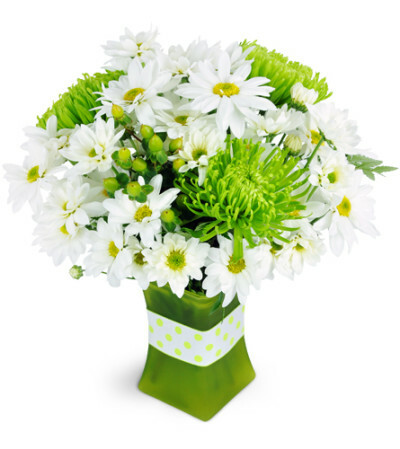 This petite green and white arrangement is understated and oh-so-elegant! Exotic green fuji mums and delightful white daisies are a perfect mix! 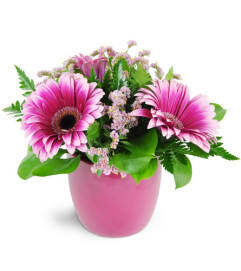 The flowers were beautiful and delivered just as i had suggested. Thank you! 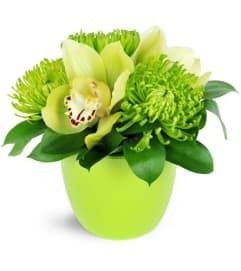 easy to order online, delivered next day, great customer service when I called to ask about delivery time, beautiful bouquet. Would absolutely order again! Unbelievable quality and service... Tina is AMAZING!!! 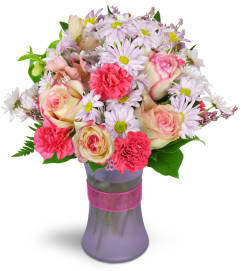 Platinum Posies is a Lovingly Florist in Middleton. Buying local matters. Discover how Lovingly supports local florists. Copyrighted images herein are used with permission by Platinum Posies.